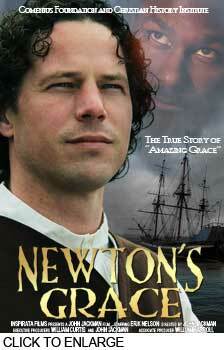 The powerful true story of the man behind the beloved hymn Amazing Grace. John Newton was a rebellious young sailor, called "the Great Blasphemer" by other seamen, whose bad behavior earned him a near-fatal whipping and finally resulted in his being abandoned as the servant of a slave trader in West Africa. Purchased out of slavery in a true story reminiscent of Jesus' parable of the Prodigal Son, during a terrible storm at sea Newton felt the presence of God that would transform his life. Becoming a pastor in the Church of England, Newton wrote some of the greatest hymns of the 18th century, including Amazing Grace and Glorious Things of Thee Are Spoken. The reformed slave ship captain went on to become a powerful voice for the abolition of slavery. Scheduled for release in 2016. VISIT THE WEB SITE TO FIND OUT MORE! 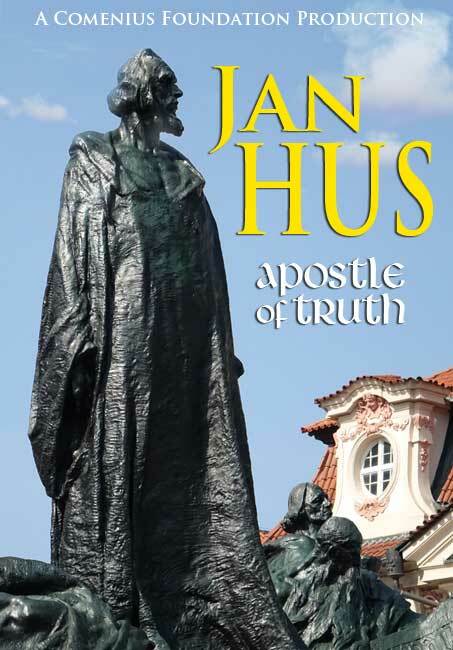 Six hundred years ago, the combined might of the Roman Catholic Church and the Holy Roman Empire focussed on silencing one man: a Czech reformer named Jan Hus. Declared a heretic, encouraged to recant, he stood his ground, sure of the truth of his convictions. He was burned at the stake...but his ideas lived beyond him, shaping the world for centuries to come. 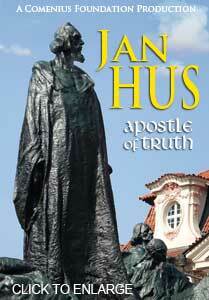 His followers began a radical Christian movement that paved the way for the much better known Lutheran Reformation. Interviews with recognized authorities on Hus and medieval history, footage from the historic locations in Bohemia and Moravia, original artwork, and reenactments bring this story to life for modern audiences. His commitment to truth was in many ways the beginning of critical thinking and the intellectual curiosity that would eventually become the "scientific method." SCHEDULED FOR RELEASE IN 2016. Visit the WEB SITE for more information! 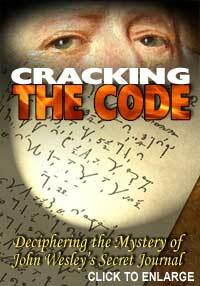 For two centuries, his private thoughts were a mystery -- locked away in a secret code that no one had the key for. John Wesley, the founder of Methodism, a man who changed the course of British history and religion, kept an extensive private journal -- in a secret code based on an obscure early form of shorthand. For nearly two hundred years these hand written journals sat in an archive in London, a mystery. Wesley's private thoughts, personal reflections, were an enigma -- until a young graduate student at Duke University, Richard Heitzenrater, discovered a key that would lead to the cracking of the Wesley Code. Over the next twenty years, Heitzenrater and a small group of scholars worked to translate the mysterious journals and reveal the private Wesley -- a much more human and understandable Wesley than the plaster saint built up by 19th century historians. The translated journals formed the basis for the script of our 2009 movie, Wesley. Now you can learn the story behind the secret code and the scholars who cracked it, and the private thoughts of the man that they revealed. Scheduled for release in early 2014. PART ONE: The Book of John. In this dynamic classroom DVD series, host John Jackman unpacks the powerful meaning and context of some of the most significant words in the New Testament. Exploring the Greek words in an understandable manner accessible to the interested layperson, Jackman explores the deeper levels of meaning that do not always make it through the process of translation. Designed specifically for classroom use, each program contains built-in pauses for discussion. Includes leader discussion guide; ideal for Bible studies and Sunday School classes. Scheduled for release in 2016. 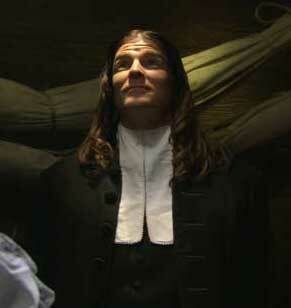 This exciting docudrama tells the story of David Zeisberger, the 18th century Moravian missionary to the Delaware. Zeisberger succeeded in his relationship with the Delaware where others had failed due to his unswerving respect and compassion. As the Revolutionary War and expansion of the population of the new nation squeezed the Delaware from their ancestral lands, Zeisberger fought for their rights. A coproduction of Inspirata Films, Comenius Foundation, and Fairfield Museum in Ontario, Canada. The true story of John Wesley, founder of the Methodist movement, is one of adventure and drama beyond the imagination of Hollywood scriptwriters. This feature film has the adventure of Master and Commander and the bittersweet romance of a Sense and Sensibility. The feature film Wesley finished principal photography in 2007. Inspirata and TechniCine completed the very complex postproduction, including advanced bluescreen compositing and motion tracking, and matte effects for the film. There are actually as many CGI shots in the movie as in a complex action film such as Batman Returns; except in this case, most of them are the invisible removal of telephone wires, security lights, and other anachronistic modern items. TechniCine has completed conversion of the movie to a Digital Cinema Package and special Blu-Ray package for release in digital theatres. Wesley premiered in November, 2009 and screened in limited release in select theatres across the country. The home DVD was released in 2010, together with a special Church License edition. Wesley has garnered many industry awards and has been featured by numerous film festivals around the world. CLICK HEREto learn more about Wesley.CLICK HEREto purchase your copy! This compelling short film explores spiritual end-of-life issues where medicine interacts with faith. Medical intervention prolongs the unconscious life of a dying elderly saint. As the doctor wrestles with personal and ethical issues, she learns a lesson about grace and faith, and understands for the first time that physical death is not the end. Starring Mary Lea Williams, Bonnie Johnson, and Cameron Williams. Production: February, 2006. Premiere Showing: May 21, 2006 at TrinityFilm. Featured in DV Magazine. The year is 1936. King Edward VIII has only recently ascended the throne and has announced his desire to marry an American divorcee, Wallis Simpson. Parliament is in rebellion, Edward's ministers threaten to resign if he goes through with the unsuitable union. 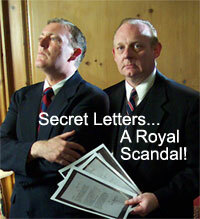 He is determined...until the Prime Minister shows up with copies of secret letters that could cost Edward the throne. Shot in the new HDV format, this intense short film takes a speculative look behind closed doors in the days leading up to Edward's abdication of the throne. Share the humor and wisdom of Appalachian storyteller and evangelist Andy Lambert in one of his funniest and most memorable story parables. Momma wasn't one you could lie to easily -- not and get away with it! And the lesson learned is a spiritual life lesson, not just an amusing story. You won&wpsapos;t believe that a person can double-talk like Andy in this story! 30 Minutes. This is the story of Jonathan Edwards, one of the most influential preachers of the Colonial era, as told through the memories of his wife Sarah Pierpont Edwards. Through their deep love and shared faith (Edwards referred to theirs as an "uncommon union"), they ministered together to parishes in Northampton and Stockbridge in Massachusetts. Portrayed by actress Maggie Rowe, this dramatic setting captures the joys, sorrows, and victories of the Edwards' sometimes difficult life in colonial America. Principal photography took place May 17-22, 2004 at authentic historic locations in Massachusetts and Connecticut. Postproduction was completed in early July. 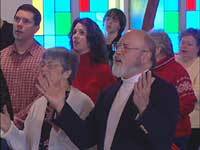 This film was produced by the Christian History Institute, and is distributed on DVD by Vision Video. Click Here to learn more about An Uncommon Union! Finding Abilities is a video short profiling the vital mission of The Arc of High Point, helping disabled people of many backgrounds. Medical, job training, group living, and independent living programs help each individual find their abilities rather than focusing on their disabilities. Produced by Carol Andrews. Director of Photography John Jackman. Winner of the Aegis Award for Nonprofit Promotion. A powerful DVD short profiling the Moravian Church's 20/20 Vision, an ambition outreach campaign that seeks to reach new and underchurched areas for Christ. Through visits to several of the newest congregations, and interviews with clergy and church members, the program profiles the new approaches necessary to reach people in the 21st century. NEWS! 20/20 Vision has been recognized as a finalist in the Aegis Awards competition! John Jackman recently directed the pilot series of programs for Unwind, a new syndicated Gospel music program hosted by Linda Greenwood. Featuring guests such as Melva Houston, Antonia, and Byron Cage, the program allows viewers to get to know their favorite Gospel music artists. Our best wishes to Unwind as they enter the next phase of programming! Images and material ©2004 Unwind Productions, LLC. 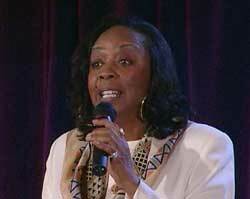 PICTURE: Melva Houston sings on Unwind. 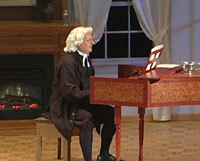 John Jackman portrays the prolific hymn writer Charles Wesley in this dynamic program filmed before a live audience. 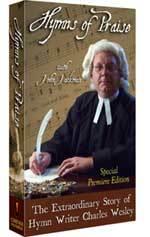 Charles Wesley relates engaging tales of his brother John, the beginnings of Methodism, and the stories behind some of his best-loved hymns. The audience and The Foundry Chorus (featuring singers from the Piedmont Chamber Singers and Moramus Chorale) join in a sing-along of some of the greatest hymns of the Christian Church: Hark, the Herald Angels Sing (1738), Christ the Lord is Risen Today (1739), O for A Thousand Tongues to Sing (1749), and many others. Produced by Comenius Foundation; Cinematography by Arledge Armenaki; Distributed by Vision Video.